﻿ The Emerging Autonomous Vehicle Ecosystem: Who will be the new players and how can they win? The Emerging Autonomous Vehicle Ecosystem: Who will be the new players and how can they win? As the autonomous market grows exponentially in the current scenario, over the next few years, numerous business opportunities is expected to emerge for various companies across the new ecosystem. Companies, both established as well as new in the automotive market, are expected to have the ability to expand their businesses across new verticals, as various sectors such as energy, infrastructure, finance, and technology, among others, will also be involved in the new autonomous vehicle ecosystem. But how will companies identify which new business opportunities can arise for them? The emergence of the new-age automotive industry with the onset of connected, autonomous, shared, and electric vehicles, is expected accelerate the growth of the sector, which has been moving at a slow year-on-year growth rate due to a gradually decreasing rate of car sales. 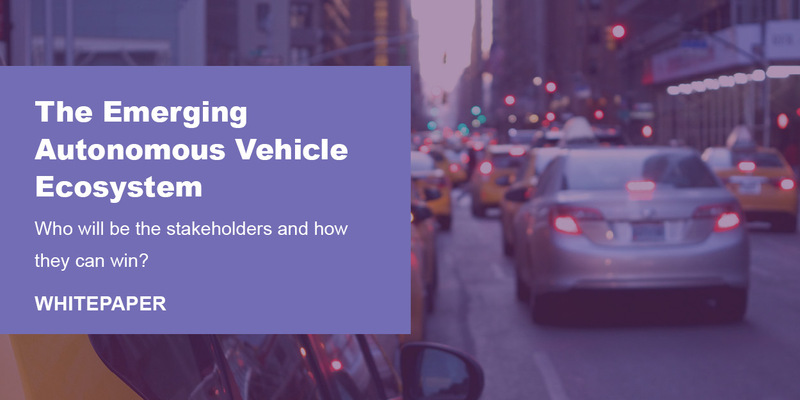 As companies attempt to expand their businesses across these new ancillary services for autonomous vehicles, new players with innovative business models will also emerge. In this report, BIS Research analyzes new business models that are possibly going to emerge and how OEMs and suppliers will be able to win in this new ecosystem.